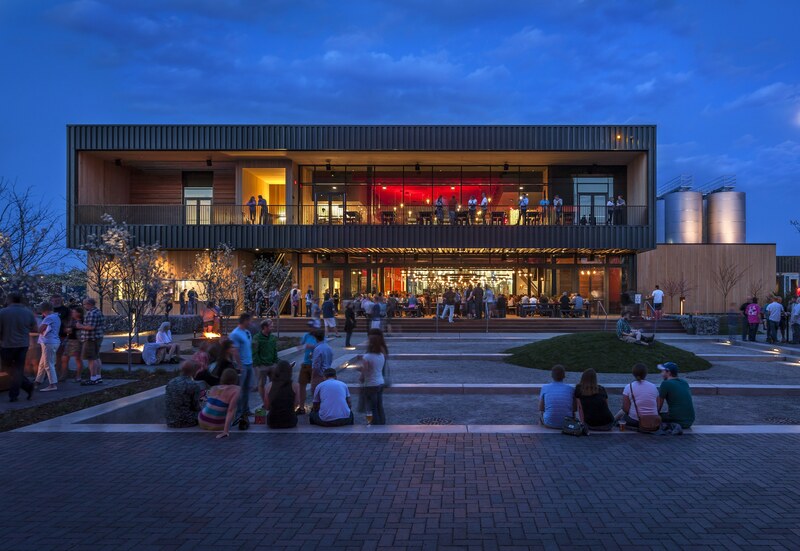 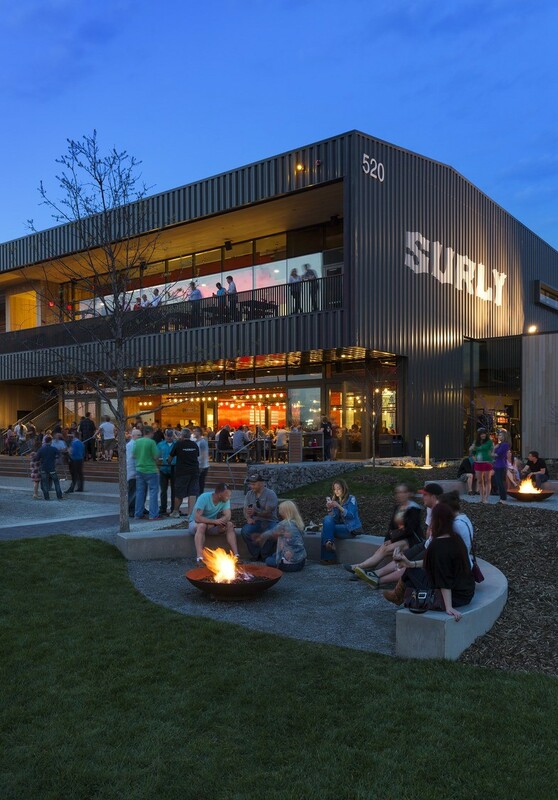 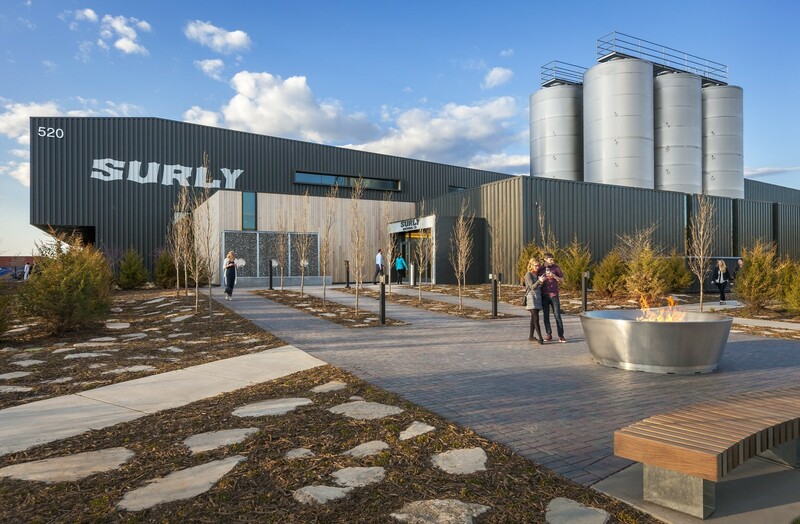 Designed as a destination brewery on an 8.3-acre site, Surly Brewery reflects the industrial character of the neighborhood’s surrounding train yards and grain silos, here reinterpreted with streamlined massing, flat roof, and corrugated-metal siding. 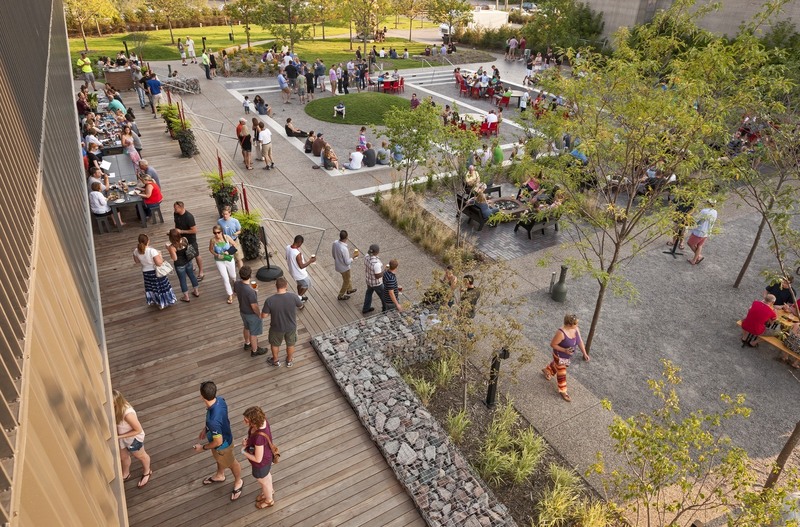 Visitors enter along a landscape path. 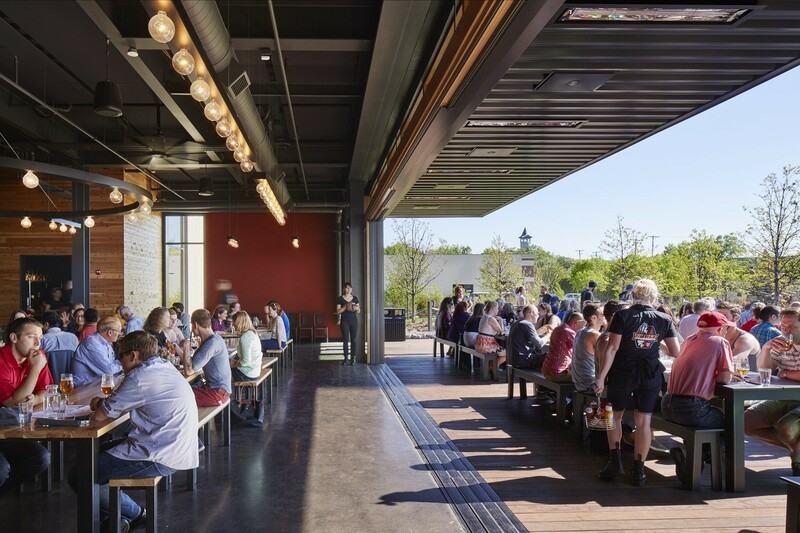 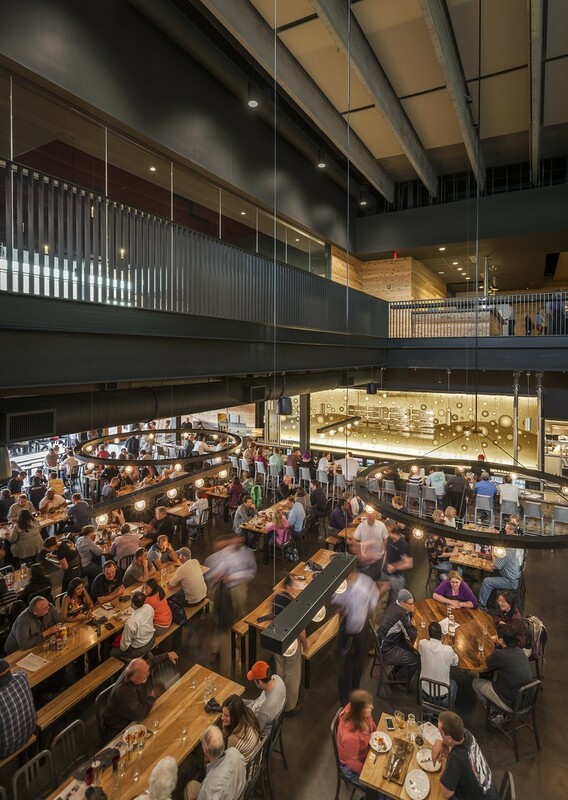 Inside, an open beer hall with long tables features window walls overlooking the brew house at one end and an operable glass wall at the other end leading to an outdoor deck, beer garden, and amphitheater. 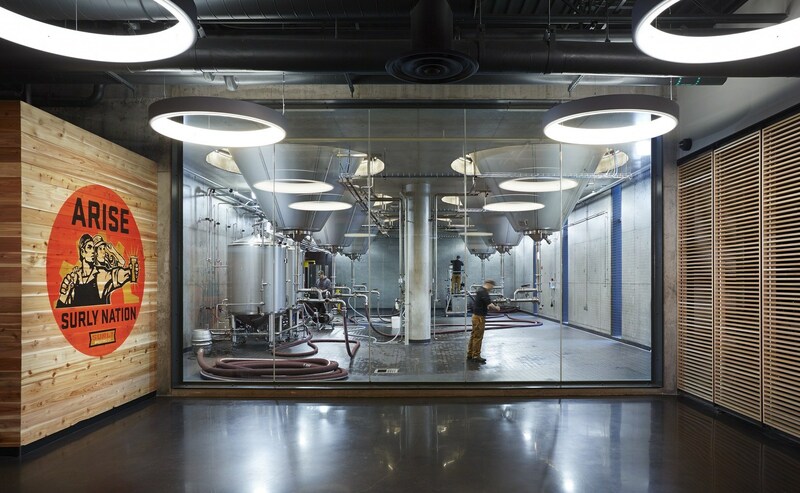 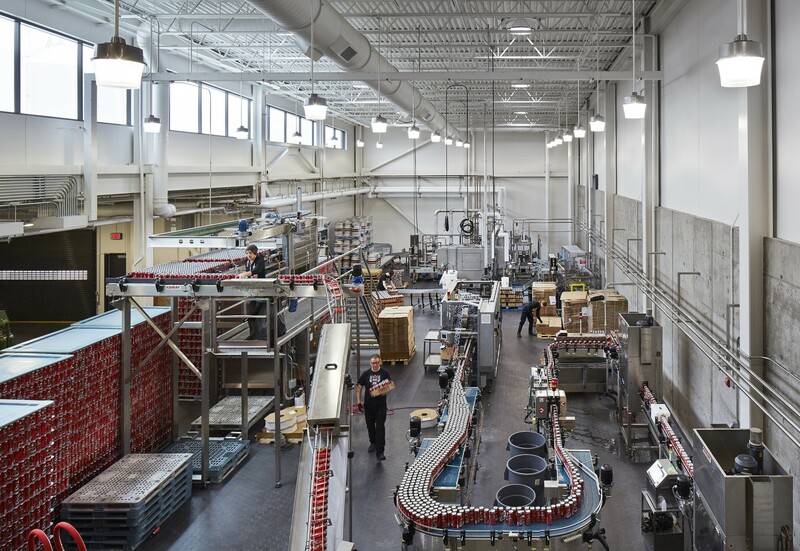 Upstairs, a mezzanine doubles as a pre-function space, where a balcony offers views of the beer-brewing vessels.